After successfully carrying out twice the International Ceramic Trends Conference, ICC launched its third conference one more time on October 13th at the IMAX Theatre of Foshan CGV International Cinemas. Over 400 local and international designers, leaders of the ceramic industry, media and special guests attended the grand event. ICC showed its creative mind set by taking everyone on an inspirational trip while delivering the summary forecast of the 2017 Ceramic and Decoration Trends Report. 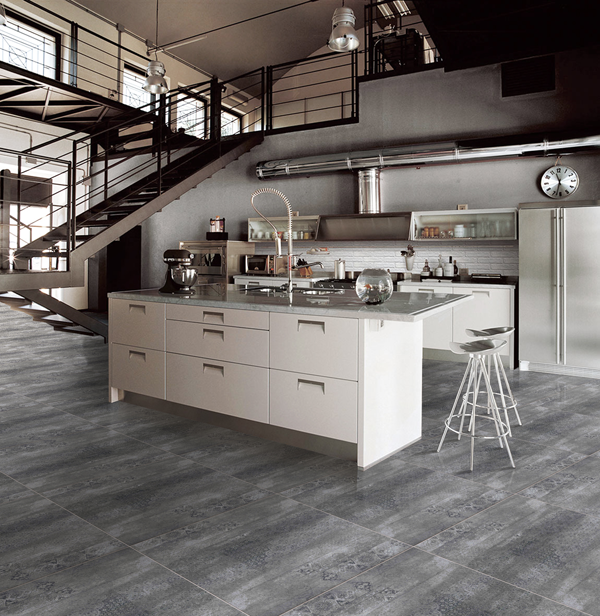 Trend 1: Large size tile is still favored. There is no doubt that from last year large-size ceramic tiles has become the trend, they continue, still favored, or even larger. But compared to previous plate shape, 1Mx1M square large size, bringing a new bright spot. Trend 2: Gray tone is still popular. Whether product design or space design, color design is always the most important aspects and elements. Throughout 2016, gray and dark gray products dominated almost all of the exhibition. Trend 3: Small plates in various forms. The small size of products has been with the large-size products evenly divided the small size of the product has always been outdone, in which the form of small plates in the most active in the wood, rocks, marble products have a corresponding presentation, and rich burn marks, do the old and other retro details. Trend 4: New Interpretation of Art Cement. The rise of cement wind, so that everyone fell in love with the gray, we are thinking about how to do more realistic, more natural. Today, the "art cement" on the traditional cement wind has a new interpretation, differentgray cement tiles and rock or cloth pattern, bringing a creative breakthrough, from texture to texture are more details. Trend 5: Wood grain tiles are more realistic. This is the evergreen section of the major exhibitions, specifications, design are constantly innovation, and now also has a qualitative leap! Wooden grain tiles mold effect will be a huge impact on the times, through the mature digital inkjet technology and equipment to achieve the details of the texture of the product processing, more realistic!